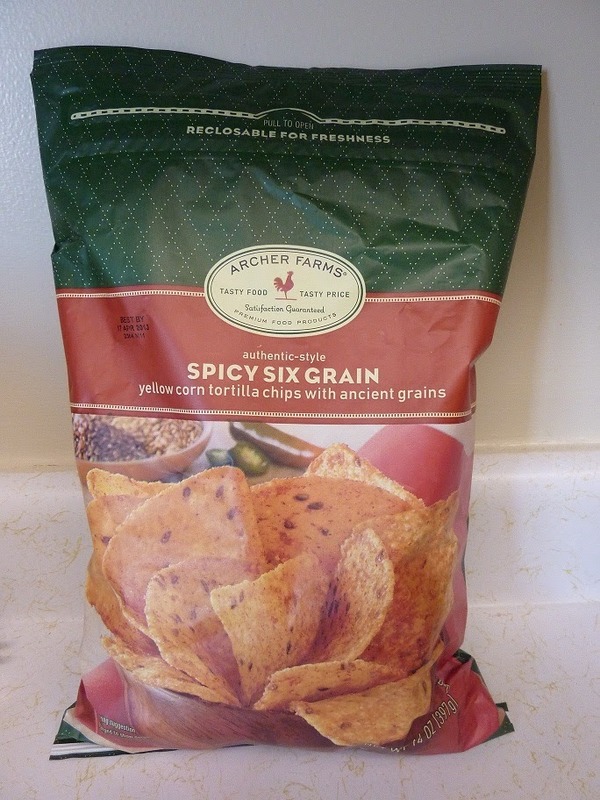 After reviewing Archer Farms White Corn Tortilla Chips and Blue Corn with Flax Seed Tortilla Chips, I can safely say that these spicy yellow chips are my favorite so far. They flaunt the robustness of the blue corn chips while retaining some of the delicate flavors of a lighter cornmeal. Not too spicy, to be sure. But considering none of the salsas we've reviewed on here have been all that hot, a slightly spicy chip combined with a slightly spicy salsa is heading in the right direction if you're interested in a little heat. These chips have a great flavor just by themselves, but I'm a sucker for salsa. The best pairing I've discovered so far is these yellow tortillas combined with the recently reviewed Tomato Chipotle Salsa. 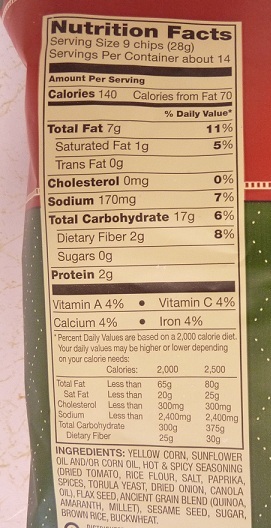 The spices in both products enhance one another. 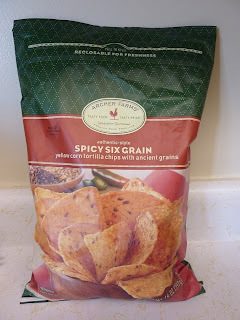 It gives you a nice, rounded, peppery heat, and yet you can still taste the corn, flax seeds, and ancient grains in the chips. 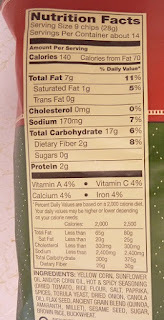 I also tried these with the sweeter Mango Peach Salsa. Not a bad combo, but the spices in the chips conflict with the fruitiness of the salsa. White tortillas work well with the sweet salsas. The texture of these chips is great, too. You don't have to worry about the chip breaking in half when you dip it in the sauce. They're very crunchy, thick, and satisfying. These will definitely be a repeat buy for me. Spice and whole grains are an excellent combo for a tortilla chip. I'm a fan.